Castellamare is an island far enough away from the mainland to be forgotten but not far enough to escape from the world's troubles. At the center of the island's life is a café draped with bougainvillea called the House at the Edge of Night, where the community gathers to gossip and talk. 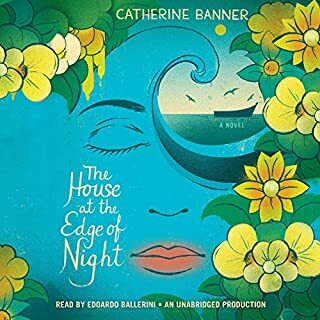 Amedeo Esposito, a foundling from Florence, finds his destiny on the island with his beautiful wife, Pina, whose fierce intelligence, grace, and unwavering love guide her every move. This is a lovely story about a place and time one is grateful to connect to. Would that we could all live with our neighbors the way the island-folk of this story do... taking care of each other's across the years!